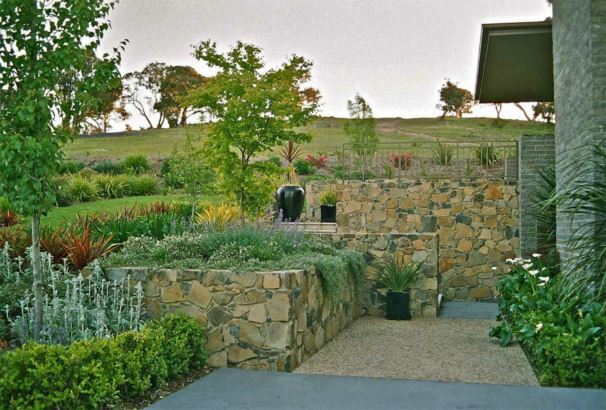 A former display home constructed by Better Building Services, this resort style home is complimented with lush, generous gardens, & private pool come entertaining area. 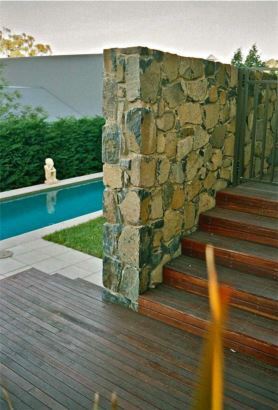 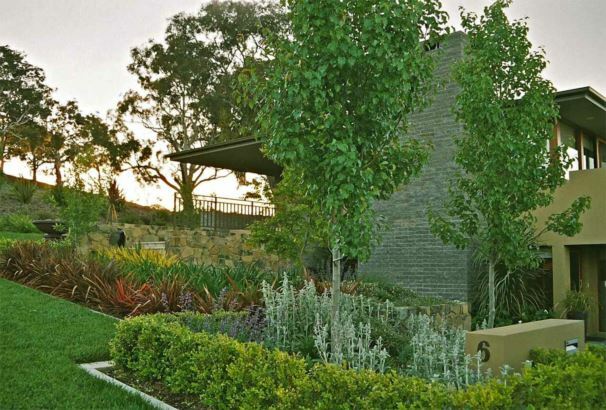 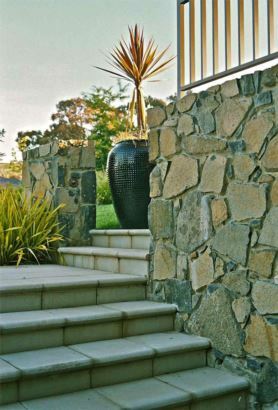 Retaining & feature walls of Nimitabel stone, constructed by MJ Stonemasons, decking, & ‘Bink’ off-white paving & stairs, are a feature. 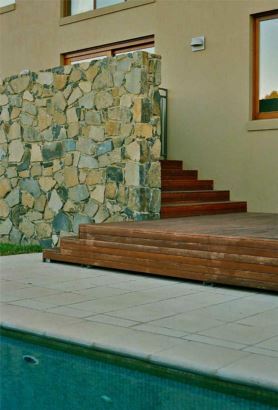 ABC Landscaping was the principal contractor.